WHY PAY BOOKING FEES UP TO 15% WITH TRIP ADVISOR OR AIRBnB? BOOK WITH US SECURELY WITH 0% BOOKING FEES! Winners of tourism awards for best self-catering accommodation in York, Yorkshire, and England. 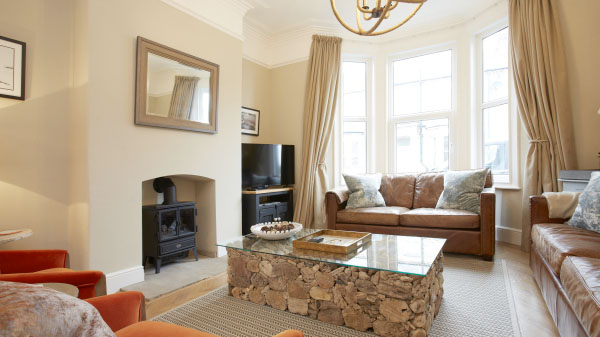 We offer stunning 5 Star self catering accommodation in York. 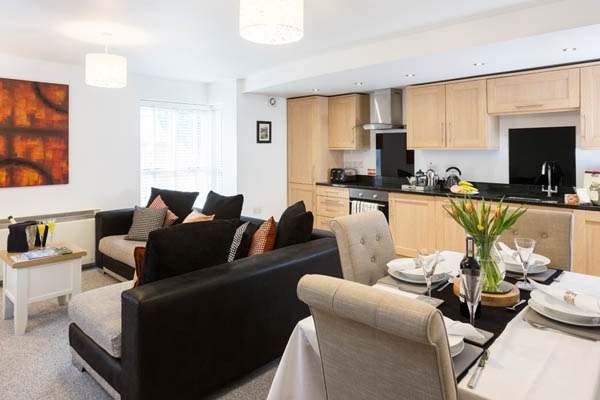 Choose from a gorgeous designer one bedroom holiday apartment to superb two bedroom self catering apartments, or a fantastic two bedroom detached house. 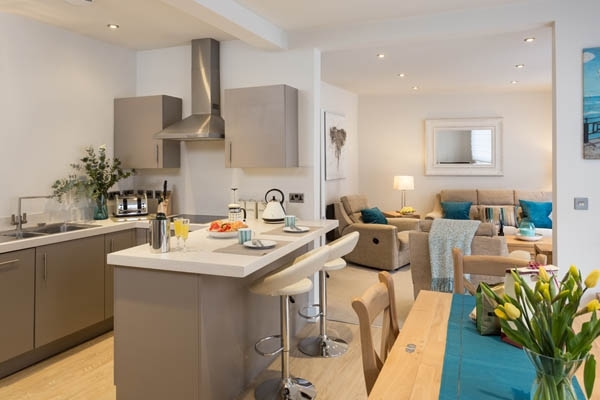 For a family or friends get-together choose one of our beautiful three or four bedroom houses. All our holiday properties are in, or close to, the centre of York. All offer parking and many are suitable for children. 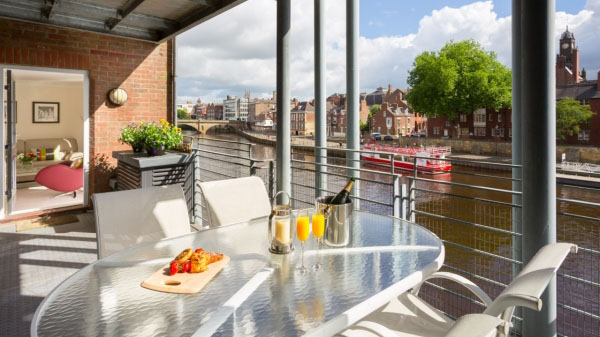 Probably the best holiday lettings in York - so our guests say. The City Escape, our latest property, is coming April 2019!! A wonderful 3.5 bedroom, 2 bathroom townhouse just off historic Bootham. 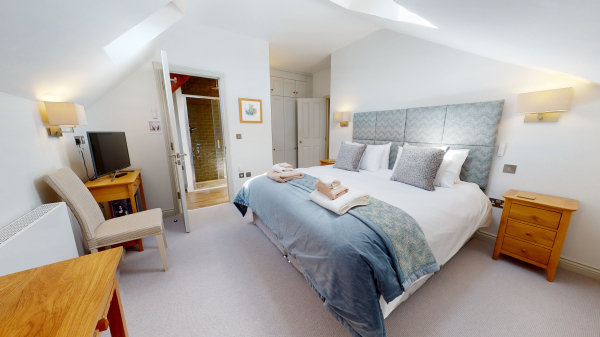 Currently finishing a high end refurbishment, this wonderful property will sleep 6 adults and 1/2 children (+ 2 infants). 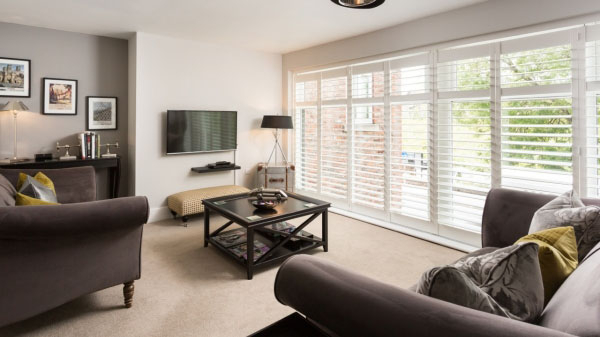 With on street parking, private courtyard-garden and a short 10 minute walk into the City Centre, this is truly a wonderful property for your family holiday or get-together. See prices page for more information on our introductory offers. Sleeps 4 guests. 1 super-King bed which can split into twin beds. 1 King bed. Each room has its own en-suite shower room. Additional separate cloakroom. Open plan living-dining with superb river views. Separate kitchen with breakfast bar. On-site parking for 2 vehicles. Lift directly into apartment. Air conditioning. Less than 5 mins walk into city centre. Located in very quiet area at Bishop's Wharf. (Minimum age 12 years old.) Probably the best penthouse in York! 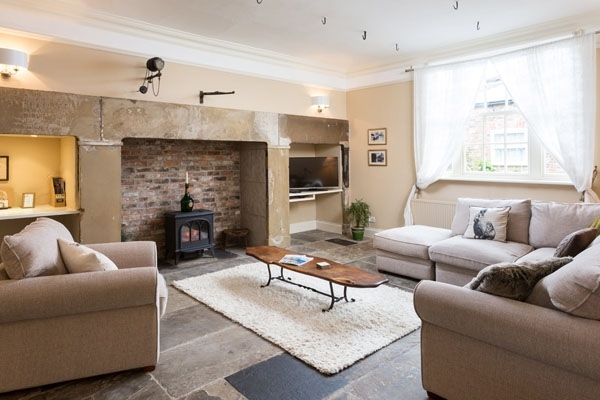 5* - 3 Bedroom Brand New Award Winning Historic House with Modern Designer Interior. Sleep 6. 3 bedrooms. 1 super-king bed which can split into twin beds. 1 super-king bed. 1 double bed. 4 floors. kitchen & utilty ground floor. Dining room 1st floor. Bathroom, double bedroom & living room on 2nd floor. 2 super-king bedrooms & en-suite on 3rd floor. 1 bathroom with bath and shower. 1 en-suite shower room to super-king bedroom. Large shared private garden with seating. Award winning museum area for residents & guests only. In quiet residential area off award winning Bishopthorpe Rd. Shops, restaurants, delis and more, just1 minute walk away. River walks close by. Residential street parking. 7 mins walk into city at the Castle area. (Minimum age 6 years.) Fabulous & unique! 2 bedrooms. Sleeps 4 + an infant. 2 king beds. Bathroom with bath & shower. En-suite shower room to main bedroom. Dressing room to main bedroom. Large open plan living-dining-kitchen. Parking off-site with permit. Great views across the centre of the city. 20 seconds from The Shambles. Located 1st floor of an small historic building with modern designer interior. The most central location in York on King's Square. Utterly fantastic! Sleeps 8 + an infant. 4 bedrooms. 1 superking bed. 1 king bed. 1 double bed. Twin beds. 1 family bathroom with bath and separate shower. En-suite shower room to king bedroom. Vast drawing room. Dining room. Kitchen. Private courtyard garden with seating. Parking on site for 2 - 3 vehicles. Shops, cafes, parks, river walks close by. 15 minutes walk into city centre or short bus ride. Superb! NB For a larger get-together The Mews is close by sleeping 4 guests. 5* - 2 Bedroom Ground Floor Apartment just 3 mins from The Minster area. 2 bedrooms. Sleeps 3 - 4 + an infant. 1 king & 1 double bed. Open plan living-dining-kitchen. Bathroom with bath & shower. En-suite shower room to king bedroom. Shared private garden. Permit to use at nearby car-park. Located at ground floor level in a small residential building. 3 mins walk to The Minster area. Gorgeous! 5* - 2 Bedroom Apartment located just 3 mins from The Minster Area. 2 bedrooms. Sleeping 4. 1 king bed & 1 double bed. Family bathroom with bath & shower. Large open-plan living-dining-kitchen. Private parking bay opposite. Private shared garden. Located on 1st floor of a small residential building. Just a 3 minute walk from The Minster area. Shops, delis, restaurants & more close by. Truly sumptuous! 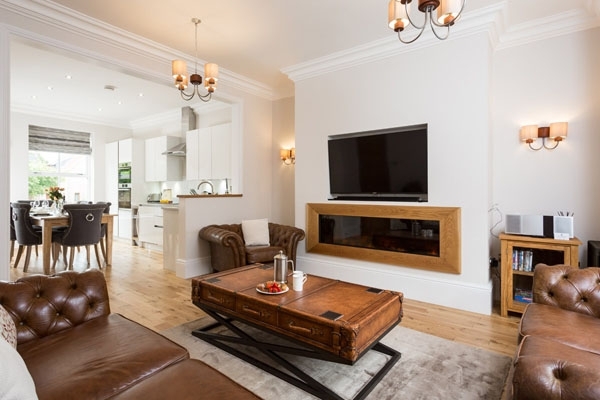 A stunningly beautiful and fully refurbished Victorian Townhouse with everything a guest could need. 2 bedroom 1st floor apartment sleeping 3 adult guests (4 by prior agreement). 1 King and 1 double bedroom. En-suite shower-room to the King room. Separate bathroom with bath & shower. Living-dining room. Separate kitchen. On-site parking. Lift. Air conditioning. 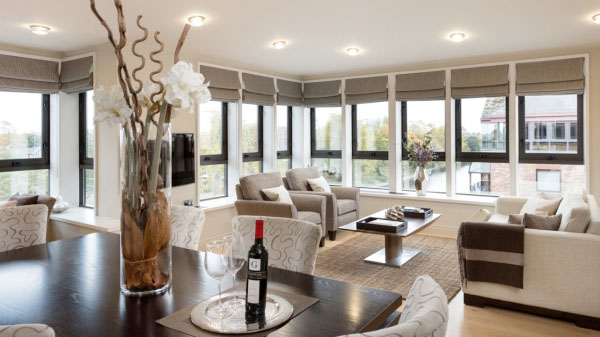 Located at Emperor's Wharf, a riverside apartment with large balcony and great views. 5 mins walk into city centre. Excellent! 5* - 3 Bedroom Victorian Town Residence with Sauna & Games Room. 3 bedrooms. Sleeps 6 + an infant. 3 king bedrooms. 4 floors. Family batroom with bath & separate shower. En-suite to master bedroom with bath and separate shower. On-site parking for 2 vehicles. Patio garden. Lower-ground sauna & games room. Ground floor open plan living-dining-kitchen. 1st floor master bedroom suite. 2nd floor bathroom & 2 king bedrooms. 5 mins walk into city centre. Located on a quiet residential street near The Museum Gardens. Wonderful! 5* - Beautifully Modernised 3 bedroom House with Large Garden. Sleeping 4 - 6 plus an infant. 1 King bedroom. 1 double bedroom. 1 twin bedroom - suitable for kids. 1 bathroom with bath and hand shower. 1 separate shower room. At ground floor an additional cloakroom. Large open plan living-dining-kitchen. Log burner. Additional TV lounge. 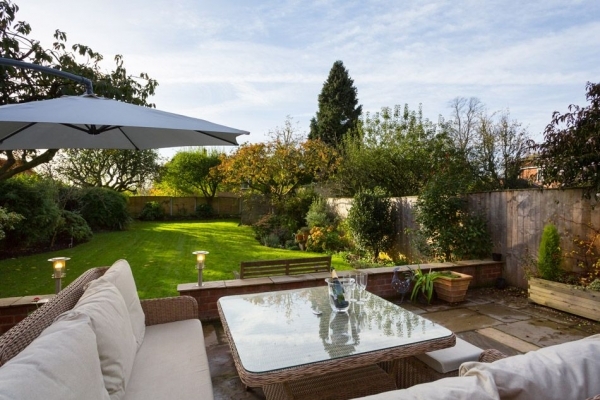 Large south facing private garden with games and seating. Parking on site for 3 vehicles. Shops, cafes, parks, cycle tracks and river walks close by. Located on a very quiet residential street. 15 mins walk into city centre or short bus ride. Relaxation and family heaven! Special Introductory Offer prices available now - see prices page for details. Sleeps 2. 1 King bedroom. 1 shower room. Open plan living-dining-kitchen. On-site parking. Lift. 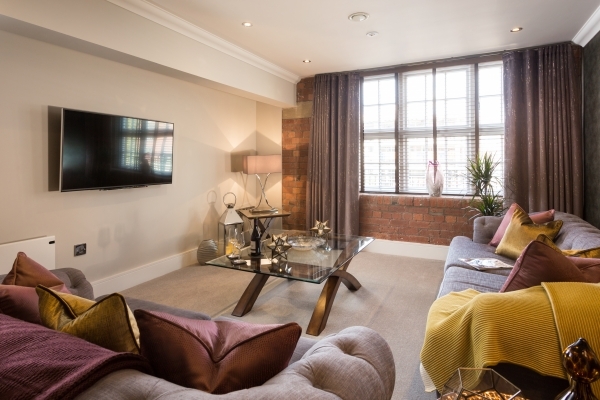 Located on 1st floor in an historic building by River Foss. Shared garden/seating areas. 5 mins walk into city centre. Top class!